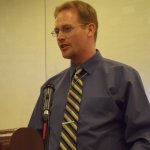 Matt Gaspers is the Managing Editor of Catholic Family News, a monthly journal and online media apostolate devoted to promoting the traditional Catholic Faith and the precious heritage of Christian civilization. He was asked by John Vennari (1958-2017), longtime Editor of CFN and stalwart defender of the Faith, to carry on CFN’s important work shortly before Mr. Vennari’s passing. In addition to writing for CFN, Mr. Gaspers has also been published by The Fatima Crusader, OnePeterFive, and LifeSiteNews. His study and writing interests include theology, Church history, Fatima, Islam, and the spiritual life. He has spoken at conferences hosted by Catholic Family News and the Fatima Center. He and his wife, together with their children, reside in Colorado.